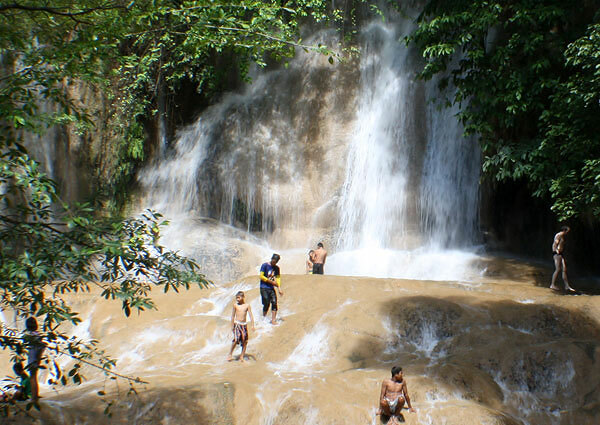 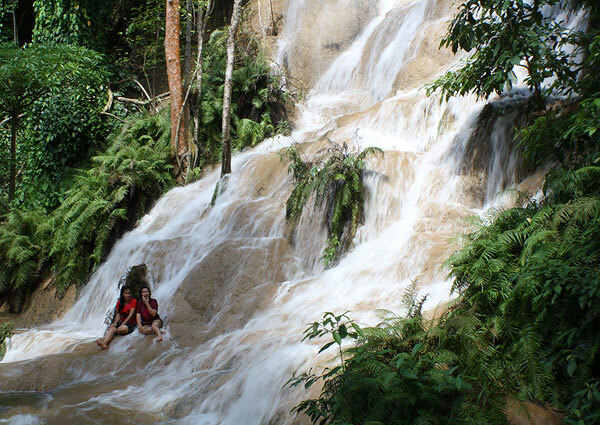 Saiyok Noi Waterfall is the waterfall from a cliff 15-meter-high and covered by trees. 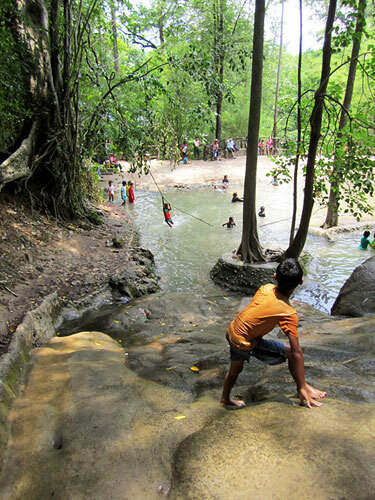 Water falling from the cliff becomes a shallow lake where people can have fun there. 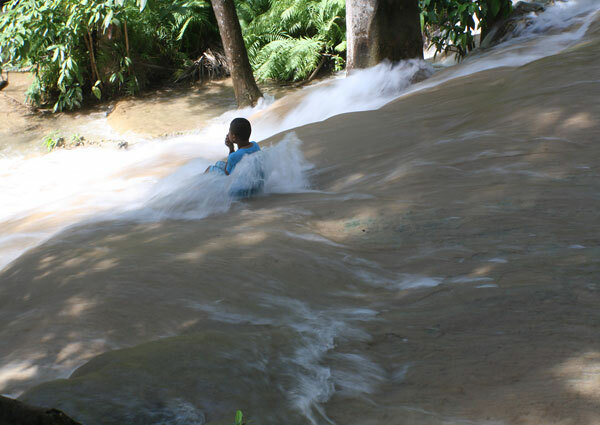 However, sometimes the water seems not enough for visitors to enjoy because of not much raining. 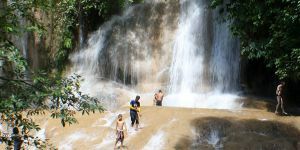 Saiyok Noi Waterfall is not a large waterfall, so it might not suit those who like challenging visitors, but it seems to be a great place for visitors who like to enjoy waterfall without any effort or who don’t have much time for travelling. 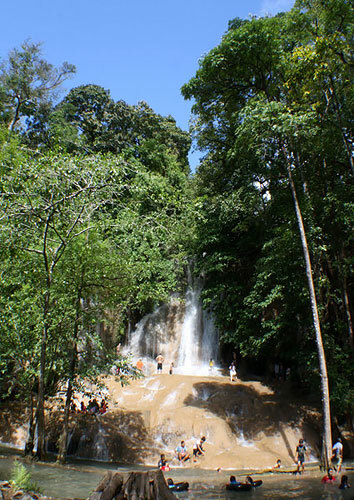 In the area of waterfall, there are small restaurants and shops. 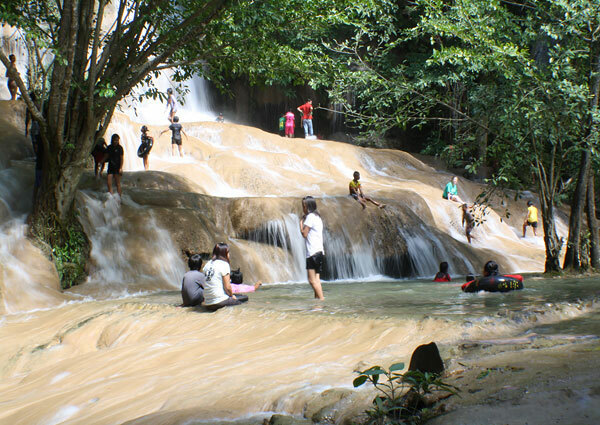 This means that visitors can enjoy the food with natures surrounded, and because this waterfall is situated next to Highway number 323 (Kanchanaburi – Thong Pha Phoom), there is a local shopping points opposite to the waterfall, where visitors usually come to shop also. 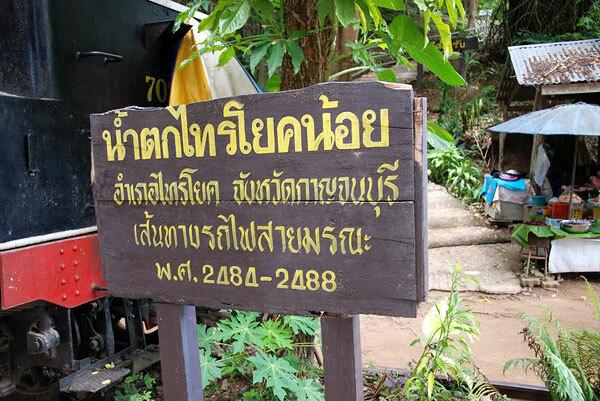 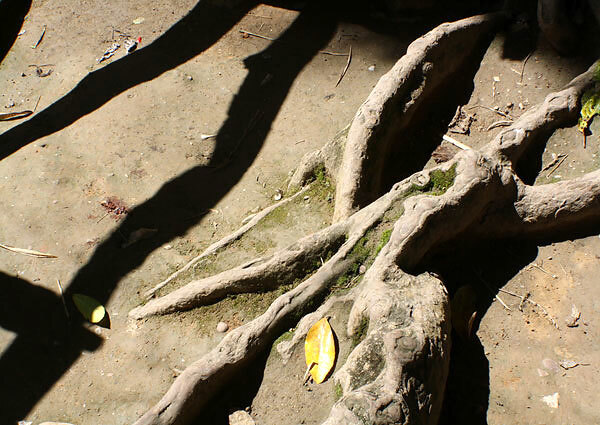 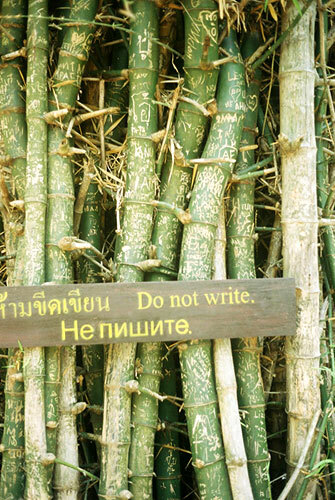 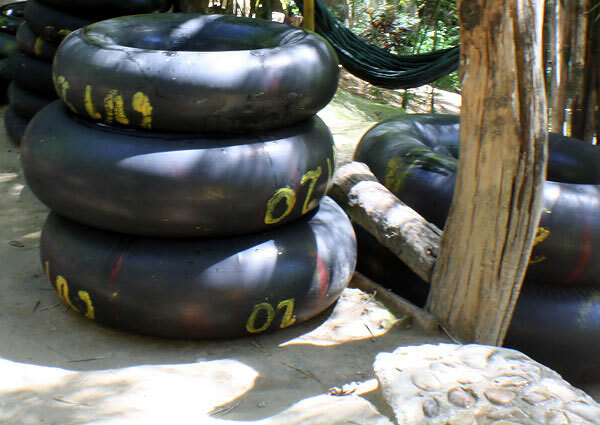 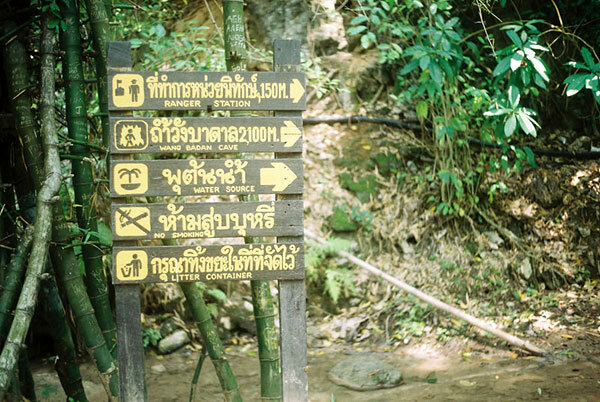 Note that, there is not entrance fee for visitors to enjoy Saiyok Noi Waterfall.